Sugar… It seems to be found in everything. People of all ages and backgrounds can be brought together by something sweet; in the kitchen and around the table. We can all remember the floury hands, huge messes, and wonderful smells created along with loved ones in the hope of sharing a smile over some scrumptious confection. We regard it as a treasure to be used somewhat sparingly, and even call each other “sweet” to show our affection. In the midst of our enjoyment however, we often forget to wonder through what process this magical substance comes to appear in our bowl, cup, or pastry. The words sugar� and cruelty do not seem to mix. Yet sadly, since 1812, sugar has been, quite literally, mixed with cruelty every day. Sugar seems vegan at a glance; it comes from a plant after all. 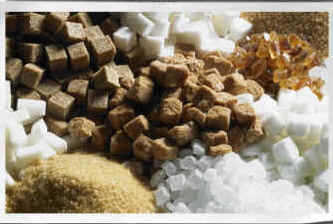 But when the natural sugars from the plant are refined in a factory, they are often filtered through bone char. When you hear the words bone char, this is exactly as disturbing as you may think, as it is indeed charred animal bones, mostly pelvic bones from cows; ground and burned at 400 to 500 degrees Celsius. Cane sugar, in its liquid form, is filtered through columns made from the ground bones, which absorb colorants and impurities. Up to 70 thousand pounds of bone char (the product of about 78 hundred cows) can be found in each one of the huge filtering vats used in industrial production. Sugar companies purchase large quantities of bone char for several reasons, the first being the sheer size of their operations. Large commercial filter columns often measure 10 to 40 feet high and five to 20 feet wide. Each column, which can filter 30 gallons of sugar per minute for 120 hours at a time, may hold 70,000 pounds of char. If nine pounds of char is produced by one cow and 70,000 pounds are needed to fill a column, a simple math calculation reveals that the bones of almost 7,800 cattle are needed to produce the bone char for one commercial sugar filter. (We did not receive a verification of this estimate from another source.) Furthermore, each refining plant may have several large filter columns. Reverse osmosis, ion exchange, or synthetic carbons can be used in place of bone char. According to some sources, these methods are, regrettably, much more expensive for the time being, which makes consumer pressure for vegan alternatives even more important. Pure white sugar is not the only sweetener refined in this way. Although it is not white, brown sugar is run through bone char to remove impurities, as is confectioner’s sugar, which is a combination of refined sugar and cornstarch. When eating refined sugar, although you are not actually ingesting an animal product, the money you pay to the company ultimately pays the animal industry for bones or bone char. It’s important to keep in mind that the sale of slaughterhouse by-products, including bones, blood and other body parts such as tendons (as in gelatin), helps the animal industry to make money from the disposal of their waste, and thereby stay profitable. As abstract as it may seem, your purchase of sugar (or products which contain sugar) may be supporting the animal industry. 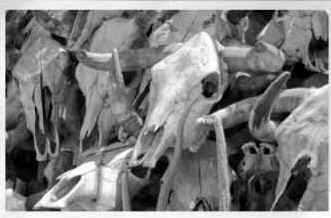 Most of the cow bones used for refining come from Afghanistan, Argentina, India, and Pakistan, and are then sold to plants that turn them into bone char before they are sold in the United States and elsewhere. Many countries in Europe, as well as Australia and New Zealand, have banned the use of bone char in the refining process. However, if you purchase foods in any of these countries, it’s essential to make sure that the sugar they contain is actually manufactured locally. For those of us who are in the US, and in other countries where bone char filters are still widely used, there are a number of cruelty-free options available. Although not all refineries use bone char filtration, many large companies sell sugar combined from many different sources, some of which may be non-vegan. Sugar is meant to be sweet in all ways, not laced with cruelty. Take a stand against the use of hidden animal ingredients, and keep bones out of your baking.